Yesterday I enjoyed the privilege of a private tour with Fernando and driver Ivan to the Manglares Churute Mangrove Preserve. Although it rained almost the entire duration of the trip, Fernando kept me going with his steady flow of pertinent information and stories. After this excursion, I know how to make chocolate AND shrink heads. I appreciated Fernando's humor, depth of knowledge, and enthusiasm, un-dampened by the rain. Our tour with Fernando G, was truly outstanding. In a comfortable van the for the nine of us we saw howler monkeys in a wildlife reserve, traveled along the mangroves miles and saw different kinds of herons and other wildlife. We then had a delightful lunch outdoors in peaceful setting at a cacao plantation followed by a demonstration of going from cacao beans to chocolate. Fernando is a wonderful guide with a good sense of humor and very knowledgeable. I would very highly recommend this tour! Excellent tour guide--loved spending time with him. Highly recommend Fernando. Fernando was everything and more than what was expected. He was knowledgeable, funny, spoke perfect English, and recognized that we we're interested in photography and wildlife. He knew every animal and saw them even when they were hiding. Our city tour was fabulous and so was Fernando. The driver was wonderful also. We moved along, lingered when necessary, and never felt rushed. The van was comfortable and the A/C was working very well to cool us down after the very warm walks. Wonderful day! Thanks! TOUR GUIDE RESPONSE: Had a Fantastic time with Fantastic folks. Not sure the tour was worth the money. We have been on several tours by locals and thus far this was my least favorite. Fernando was pleasant. TOUR GUIDE RESPONSE: I am surprised to hear this but appreciate the comment will re-call the tour and see were it may not have been worth it. Fernando deliver a comfortable tour. He was very flexible as a late flight arrival caused us to change times at the last moment. He is very customer centric. 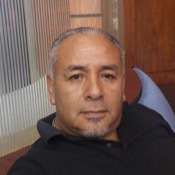 He is passionate about Ecuador and knowledgable about its history, culture and contemporary circumstances. The cacao plantation was very interesting and he stopped inroute for us to sample exquisite fruit along the roadside. I highly recommend him. TOUR GUIDE RESPONSE: Thank you much Mr. Thompsons had a fantastic time with your family. Fernando is a great guide we had a fantastic time and would highly recommend him. Fernando arrived early in a clean people moving VW. He spoke perfect idiomatic English, and had a great tour mapped out for us. We did not feel rushed anytime, and Fernando responded to what we said was important. It was a full day, and Fernando did a great job. TOUR GUIDE RESPONSE: Mr.Salon and his lovely wife were very beautifull couple that are very interested in learning about local culture. I was priveledge to have guided for them. This was a five star tour. The Churute mangrove boat ride introduced us to a natural world we had not previously experienced. The bird life was astonishing. Fernando had organized the tour and everything fell into place. Being allowed to visit this sanctuary was a truly special experience. We extend our thanks to Fernando and his team. TOUR GUIDE RESPONSE: Richard I as well had a wonderfull time. Thanks Regards Fernando G.
Fernando was INCREDIBLE. Would recommend to anyone spending one or two days in his beautiful city. 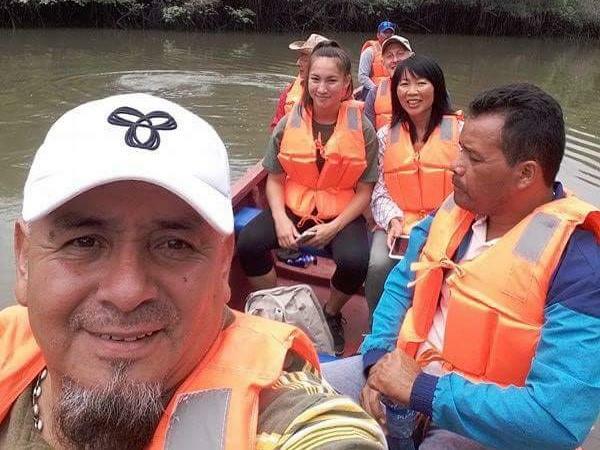 We were in Guayaquil over the Christmas Holiday's and even though a busy time Fernando took us around easily and was extremely flexible. We have used Tours by Locals often across Europe and Fernando I would rank as the BEST.